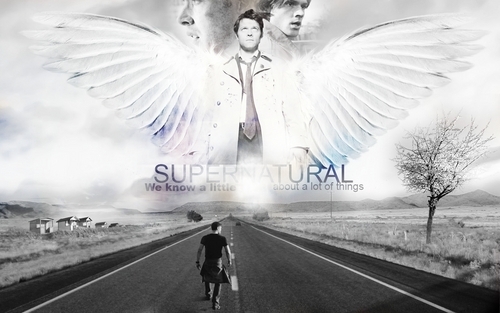 Castiel & Dean & Sam. . HD Wallpaper and background images in the Castiel club tagged: supernatural castiel angels dean winchester sam winchester. This Castiel wallpaper contains carreggiata and strada carraia. Little Castiel ; A cena with the angeli fanfic.